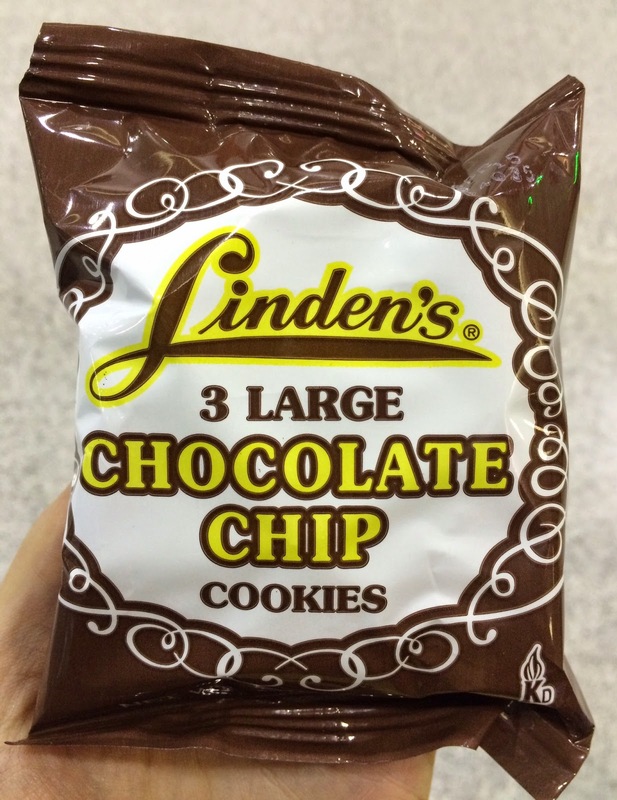 My husband bought a pouch of Linden's Chocolate Chip Cookies while waiting for a train. It's my second Linden cookies after Butter Crunch. The differences of the package are the color (brown, white and yellow) and the center isn't transparent while Butter Crunch uses yellow, white and blue and there's a clear material in the middle so that I could see the cookies. There're 3 cookies in the pouch, and each cookie had generous amount of mini chocolate chips. The diameter was about 8cm (3 inch). 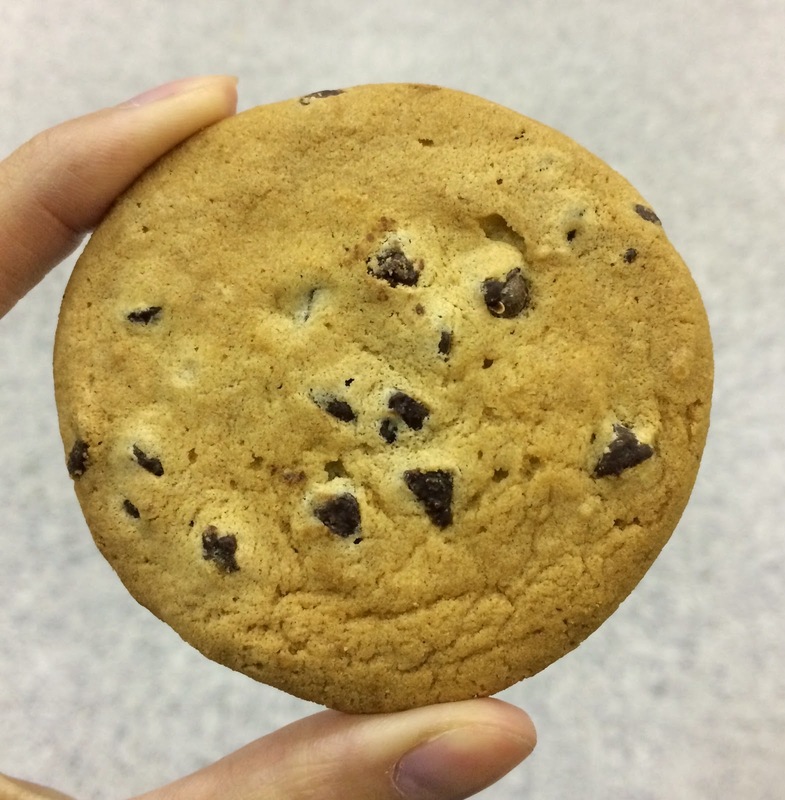 It's a thin cookie and it's less than 1cm (0.39 inch) tall. Same as Butter Crunch, it's dried and crispy cookie while in the states soft and chewy cookies are more popular or common, from my perspective. And it's not sugary and had nice sweet flavor which I didn't get tired of. The dough was baked till it's completely dried up, and the texture isn't something gets you choked but more like when the crumbs go into the wrong pipe, you cough hard, which I did and suffered. 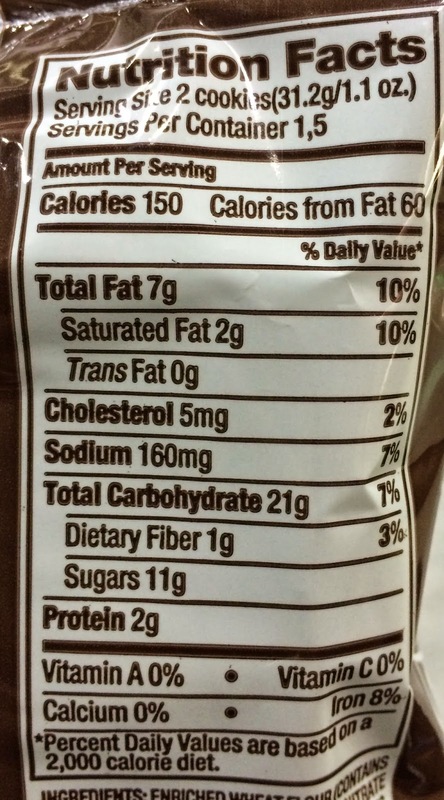 I liked this crispy chocolate chip cookies but I'd rather have it a glass of water in my hand.